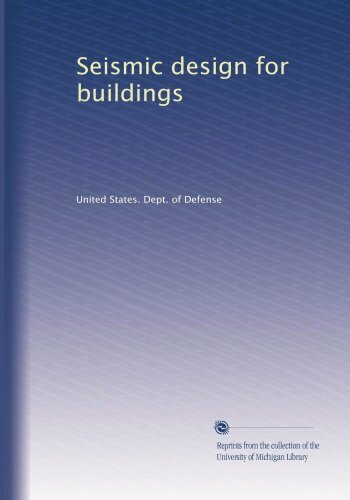 This manual provides criteria and guidance for the design of structures to resist the effects of earthquakes. It takes a general approach for the seismic design of buildings, including architectural components, mechanical and electrical equipment supports, some structures other than buildings, and utility systems. Primary emphasis is given to the equivalent static force design procedure. This volume has been prepared for use in college courses in highway engineering. Although intended, primarily, for beginning courses, it will be found of value as an auxiliary and reference book in advanced courses in design and administration. The current state of the practice in constructing or rehabilitating concrete pavements under traffic relies on a few high-profile and well-documented projects. Sixteen case examples illustrate projects conducted under a variety of scenarios. This handbook is intended to serve as a primary reference on the use of wood in a variety of applications -- from general construction to use of wood for decorative purposes. It provides a source of information on the various properties of wood. A comprehensive summary of rules and guidelines for the proper construction of wood frame buildings. The book includes information on various types of construction, framing systems, fire and draftstopping, protection against decay, etc.